Halil Kajtazi (1935-2018) was born in the village of Vitak, Skenderaj. In his early youth, he became a teacher for many villages of Drenica. Kajtazi is known as a prolific writer and for his rich descriptions of the harsh reality in Kosovo. Kajtazi is one of the most passionate collectors of Drenica’s folklore and of other regions. His most monumental work Drenica’s Folk Prose uses the spoken language of the Drenica region, and it is one of the best of its kind. Kajtazi was a novelist, essayist and storyteller. He left behind many published books and manuscripts. 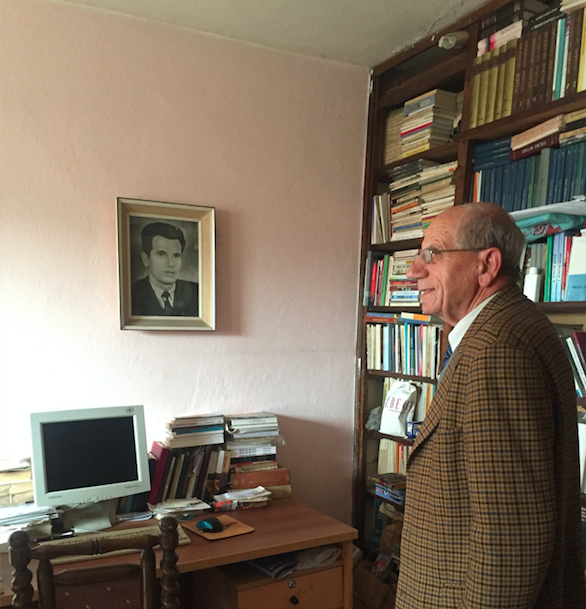 The Oral History Initiative interviewed Kajtazi in May 2016 as part of the life stories section. The full interview will be published soon in the Oral History Initiative online archive.